Augmented reality (AR) and artificial intelligence (AI) are being used by a Canadian tech company to change the face of the global beauty and cosmetics industry. Launched from the University of Toronto more than ten years ago, Modiface uses patented technologies to let users visualize makeup and hairstyles on themselves. The company’s virtual makeup apps have been incorporated by several cosmetics firms (including cosmetics powerhouse L’Oreal) over the years. Financial terms of the acquisition were not disclosed. But it’s surely a huge play: the global cosmetic market could reach $675 billion (USD) by 2020. And trends in social media and e-commerce continue to drive much of the beauty industry’s sales online, so apps like those developed by Modiface can recreate for online customers the valuable in-store experience of working with a makeup stylist or beautician. ModiFace technology (there are like 30-some-odd patents covering its developments) incorporates 3-D imaging tools, photorealistic shade and skin simulators, colour diagnosis tools, facial tracking capabilities and more. 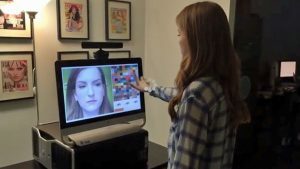 ModiFace technology (there are like 30-some-odd patents covering its developments) incorporates 3-D imaging tools, photorealistic shade and skin simulators, colour diagnosis tools, facial tracking capabilities and more, all applied to high resolution images captured from a smartphone, PC or standalone kiosk camera. 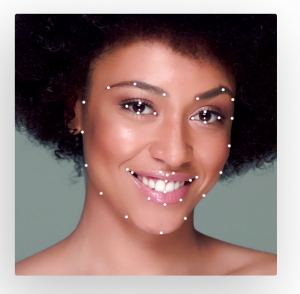 AI tools help track all the various combinations, even presenting or suggesting styles based upon skin tone and eye colour which the user may not have thought about. AR tools help superimpose makeup options and precisely align the graphic and image overlays. ModiFace – and its nearly 70 engineers, developers and scientists – will remain based in Toronto, and the company will become part of L’Oreal’s Digital Services Factory, a corporate operating arm that designs and develops other digital services. L’Oreal also works with digital start-ups in cities like London, Paris and San Francisco. Parham Aarabi, Modiface founder and CEO, said in a statement that his company gets the opportunity to “innovate on beauty augmented reality and artificial intelligence at an unprecedented scale”. He has described how the company got its start when, as part of his work towards an electrical engineering PhD, he had developed some foundational technologies to track how someone’s face moves, particularly the lips, as part of a defence industry lip-reading program. The underlying technology can also be used to track body movements, and used in a diagnostic context to measure the tremors or DTs often associated with alcohol abuse or addiction. But it’s the new partnership with the world’s biggest cosmetics company that has lips moving these days. While L’Oreal owns several of the world’s leading brands, including Maybelline and Lancome, the beauty industry still has strong competition, and the Modiface acquisition gives L’Oreal a digital advantage over rivals playing in the AR/AI makeup and makeover space. Shiseido, a Japanese cosmetic company, acquired app developer MatchCo last year, releasing an iPhone app that puts personalized makeup and foundation colours onto digital photos. And before that, cosmetics giant Estée Lauder partnered with tech company Perfect Corp. to continue development of popular mobile app suite that also uses augmented reality (AR) and artificial intelligence (AI) to transform how consumers interact with beauty products. Apps like those developed by Modiface can recreate for online customers the valuable in-store experience of working with a makeup stylist or beautician. 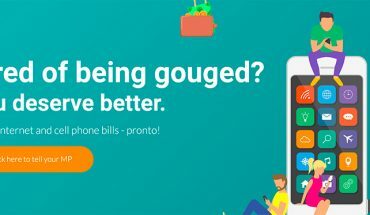 But Modiface has already been providing services for L’Oreal for years now, having used its technology in a popular Style My Hair application, and that familiarity gave the once-small tech start-up a big advantage that L’Oreal’s chief digital officer, Lubomira Rochet, clearly coveted. “With ModiFace, we’ve acquired … the stock of inventions they’ve already created, but more than that, the ability to look at reinventing the beauty experience in the years to come,” she said when the acquisition was announced.